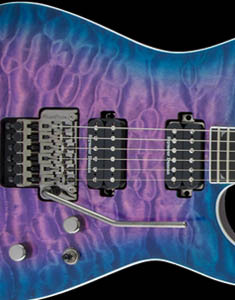 A guitar created for giant, crushing tone with head-banging, flamboyant style, the Pro Series King V KV MAH offers premium features including a mahogany body with bevels and an ultra-fast one-piece maple neck with a scarf joint and pair of graphite rods for reinforcement against the assaults of temperature and humidity. 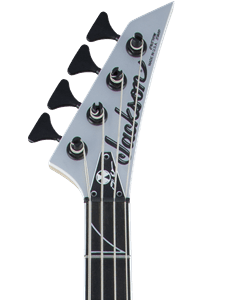 The 12”-16” compound radius ebony fingerboard hosts 24 jumbo frets and alumiloid sharkfin inlays and is designed for highly technical lightspeed playing—more curved by the nut for comfortable chording, it flattens out as you move up the speedy neck for increasingly fast playing speed and wide bends without fretting out. 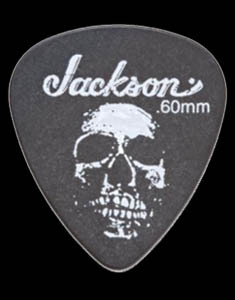 With one look at this guitar the audience knows you’re serious about playing the best—there’s no mistaking the distinctive style of a Jackson. 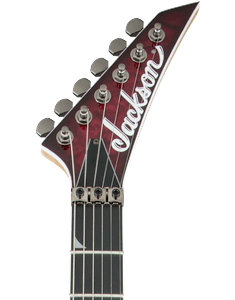 A Natural stain finish, elegant binding on the fingerboard and traditional Jackson 6-in-line matching headstock creates a feast for the eyes, leaving absolutely no doubt as to this instrument’s lineage. Plug in a Pro KV and stake your claim on the throne of state-of-the-art guitar playing.